Guidance and support on available study programmes and on organising and financing your studies. 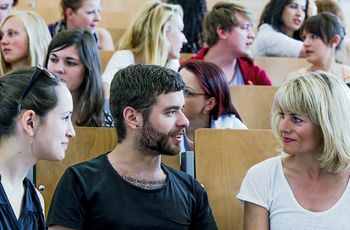 BAfög (German state student grant and loan), student loans, scholarships – information on how to finance your studies. Support and guidance with career orientation and the transition from studying to your first job. Workshops, writing tutorials and advice from the service centre for the development of writing and academic skills. All topics related to combining studies and work with family life at ASH Berlin. Study and work support for people with disability, chronic illnesses and/or mental impairment. The gender equality officers are on hand to support you regarding gender-specific questions and problems. 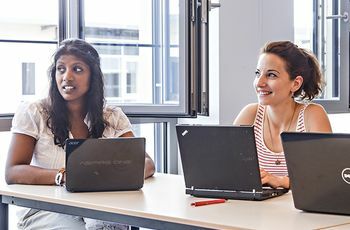 Psychological counselling from Studentenwerk Berlin is available at ASH Berlin and outside of the university.